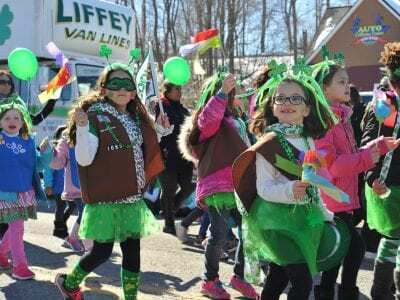 Everyone was a “little bit Irish” in Mahopac Sunday for Putnam County’s 42nd annual St. Patrick’s Day Parade. Kent Supervisor Fleming To Run For County Exec. County Executive MaryEllen Odell greets her challenger in November, Kent Supervisor Maureen Fleming, at a gathering Saturday in Carmel. 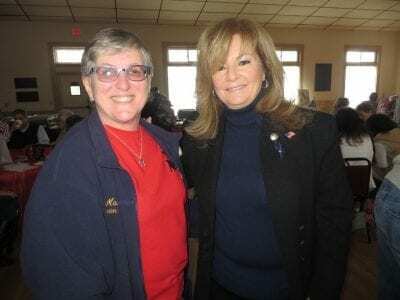 Photo by Eric GrossKent Supervisor Maureen Fleming is challenging County Executive Mary Ellen Odell for the top sp… Please login below or purchase a subscription to the Putnam County Courier to access this content. 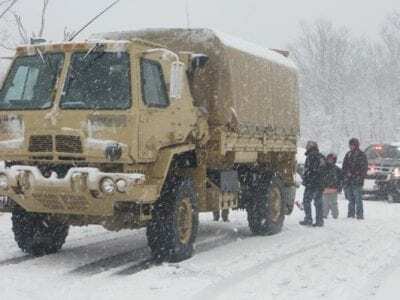 Left: In driving snow, guardsmen load the relief supplies. Right, Below: Smiles from the tenants of the complex. Photos by Eric GrossChristmas may have come late for residents of the Hillcrest Senior Complex in Carmel, but the 75 residents of the sen… Please login below or purchase a subscription to the Putnam County Courier to access this content. 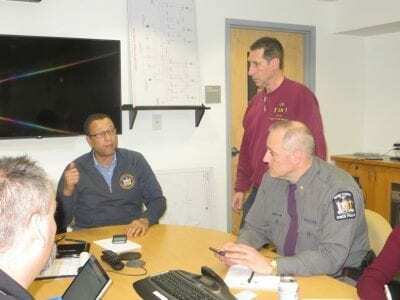 To the Editor, The Philipstown Town Board is currently considering a local law that would impose unjust imprisonment and fines upon a civilian exercising his Second Amendment rights. There are very few laws like this that criminalize an honest citize… Please login below or purchase a subscription to the Putnam County Courier to access this content. vespertine / VESS-per-tyne adj : active, flowering, or flourishing in the evening : crepuscular … Please login below or purchase a subscription to the Putnam County Courier to access this content. Can The Luck o’ The Irish Bring Spring, Please? Thru March (Tues)-1-3pm Knitting and Crafting Meet Up at the Kent Public Lib. More info/reg: 845-225-8585, kentlibrary.org Thru March 29 Sport of Polo Exhibit at Mahopac Library. More info: call 845-628-2009, ext 108. March (Fri)-11-11:45am Lend Me Y… Please login below or purchase a subscription to the Putnam County Courier to access this content. Data compiled by the NYS Health Department concerning binge drinking around the Empire State has revealed startling statistics for Putnam County. According to the recently released report, nearly onefifth of all adults residing in communities from Ca… Please login below or purchase a subscription to the Putnam County Courier to access this content.